If you would have asked Moncton Corn Crib Manager, Nicole Stevens, 10 years ago if she could see herself in the role of manager of the Moncton store, she probably would have laughed in disbelief. Coming from a background where number-crunching and organizing in her roles of debt counsellor and mommyblogger were her key strengths, it doesn’t seem possible she would. Eventually, her kids were grown enough that Niki was ready to take on a full-time job. 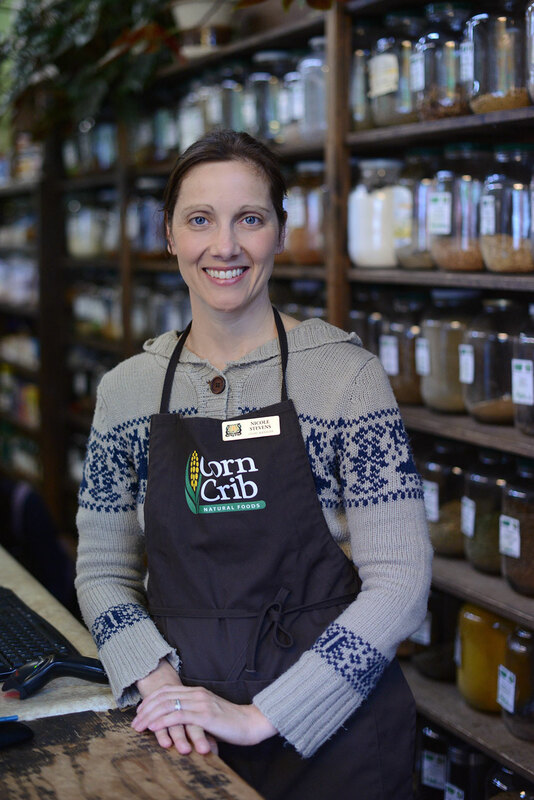 There wasn’t anything available at Corn Crib, so she took a full-time job elsewhere until Danielle Pellerin (who now manages our new Dieppe location), went on maternity leave, Niki answered owner Kelly McCarthy’s call and joined the Corn Crib full-time as manager in 2015. Even before she began working for the Corn Crib, Niki was already a big believer in health and wellness. Her blog, Minimalist Mommy, was about keeping on top of running a home with 3 young kids, on a budget — while living healthfully.